In an interview with The Verge at the MWC, Samsung comments on what customers can expect if they purchase a Samsung Galaxy Fold. To start off, the company explained that tried different designs for the fold but ultimately decided that it should fold inwards in order to protect the display. Huawei’s Mate X folds outwards and Xiaomi’s prototype had dual folds that also fold outwards. 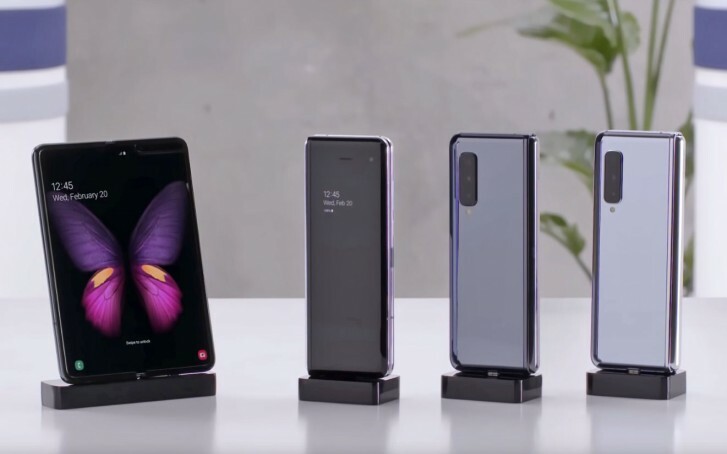 Samsung revealed it will be holding another launch event in April, not to the scale of its “Unpacked” events, but one that would officially kick off sales for the Galaxy Fold, which are said to begin on April 26 for the starting price of $1,980. Supplies will likely be limited to select retailers and there won’t be any models to play with at Best Buy. When asked why Samsung released a foldable phone today at $1980, Beaumont affirmed that the industry has become “jaded at the lack of innovation around the [smartphone] form factor,” and believes that in the next few years “it will be a no-brainer as to why you’d want a foldable device.” She explains that a form factor shouldn’t be invented for the sake of it and that many are seeing a foldable tablet/phone as a useful tool. We wonder what the process of buying a Samsung Galaxy Fold will be. We hope Samsung offers to share it with the media or someone who buys one documents the buying process. Even as it is, tech journalists have yet to physically get their hands on the Galaxy Fold so it remains very mysterious in its current state. Well Samsung is no Vertu and they will never been. Huawei device looks like a 5 years ahead of Samsung. And the concierge is exclusive to Vertu only.